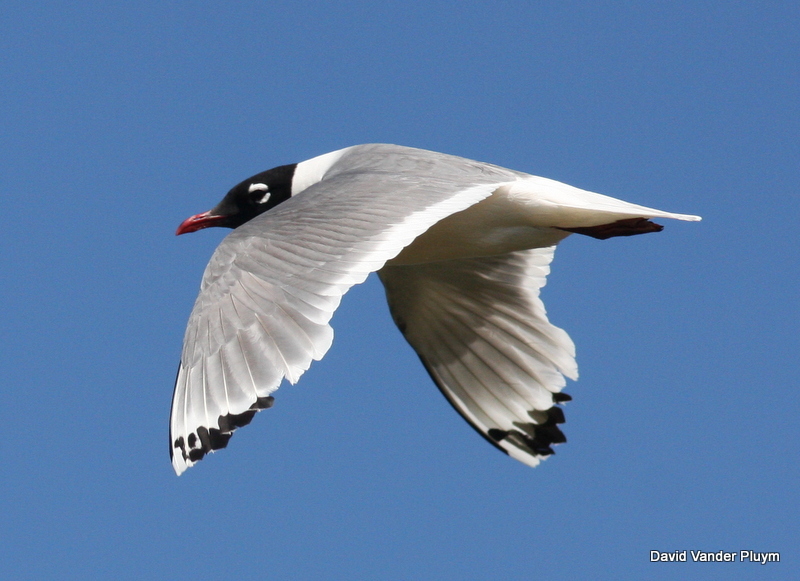 The Franklin’s Gull is an attractive member of one of my favorite groups. 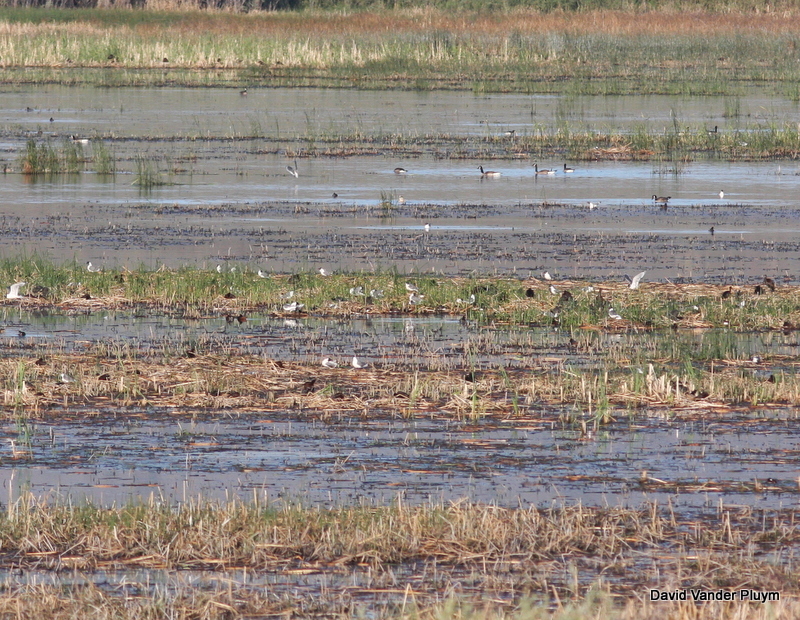 It is also always one of the highlights of spring waterbird migration in the LCRV. With a black hood and a pink blush to the chest even those who have not yet come around to liking gulls have to admit this is an attractive species. A widespread breeder across the northern Great Plains and local in the northern Rockies and Great Basin regions, this species forms huge colonies where it is a raucous and conspicuous species. It primarily migrates across the Great Plains to its wintering grounds in western South America, however the species moves across much of the western US as a low density migrant where it is rare to uncommon in spring and generally rare in fall. Birds of the LCRV (Rosenberg et al 1991) cites only 25 records (of 40 individuals) for the LCRV with slightly more than half coming from fall (particularly late Oct-Nov). 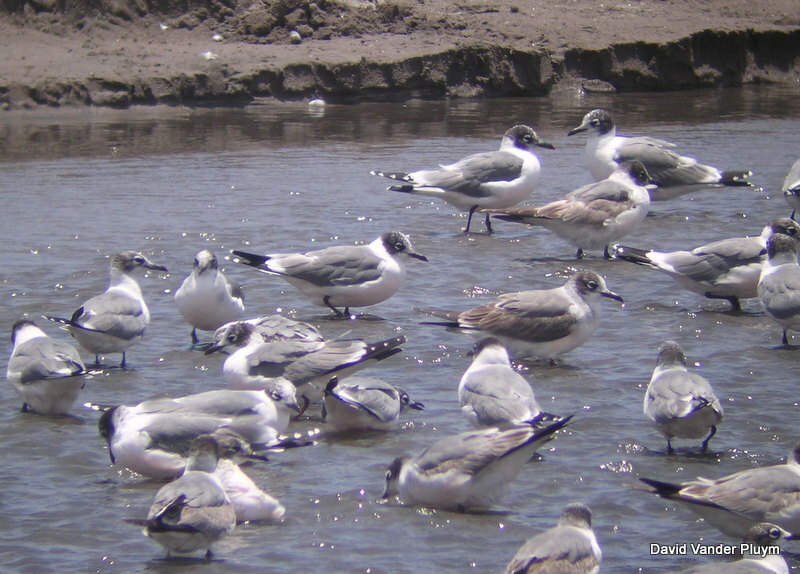 In recent years, with an increase in coverage of the spring waterbird migration on Lake Havasu, the species has been shown to be a regular migrant, usually in singles or small groups, but with a high count of 32, in spring primarily mid-April to mid-May. On the other hand, it has been rare but regular in fall with ~2 typically reported. In recent years the species has primarily been recorded around Lake Havasu, particularly during morning lake watches from Cape Havasu. Likely this is primarily coverage and the species can be expected anywhere along the river/lakes in the valley as well as marshes and flooded fields. One of the higher counts comes from Rotary Park in Lake Havasu City, but not from the beach, the birds were actually on the golf course! Interestingly, this species is one of only two that are found in the US/Canada that have two complete molts a year. The other species is the Bobolink. 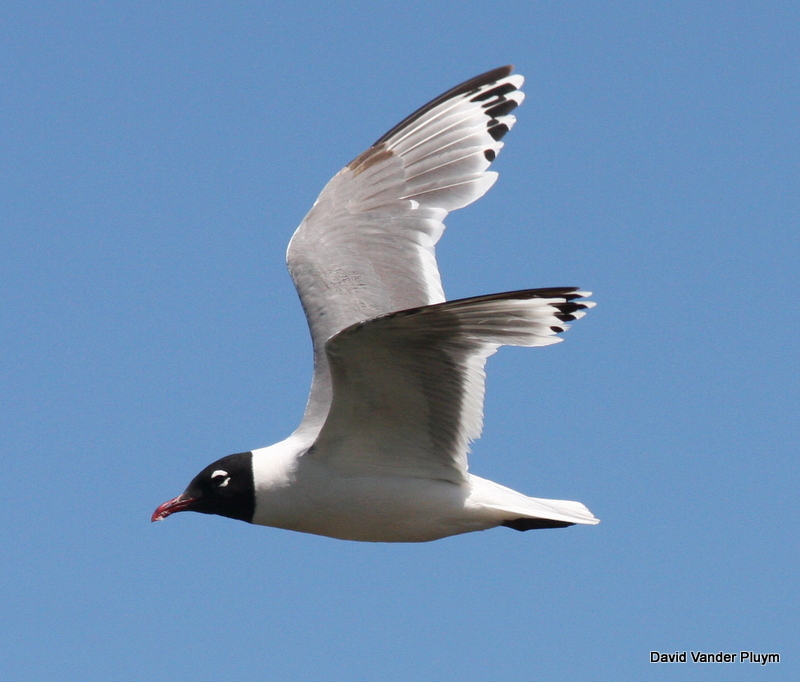 No one is quite sure why Franklin’s Gulls undergo a complete molt in spring, but it likely helps that they winter along the food rich Humboldt Current. Typically adults are more likely to undergo a complete spring molt than immatures and during bad food years few individuals may undergo a complete molt. Even in good years, a few individuals may not fully complete the molt, retaining the outer primaries. This year the species has been on the move early across the western United States, with some people reporting that this beats their previous early record by a month! It is interesting how widely scattered these reports are with reports coming from Site Six in the LCRV, the Salton Sea, Sedona Az, Nevada, and even Wyoming among other places. All of these birds have been reported as adults in alternate and clearly they could turn up anywhere in the west right now. It would be great to get the data of this early push into one place and ebird.org is a great spot to do this. It will be interesting to see how this season shapes up in comparison to recent years here on the LCRV! 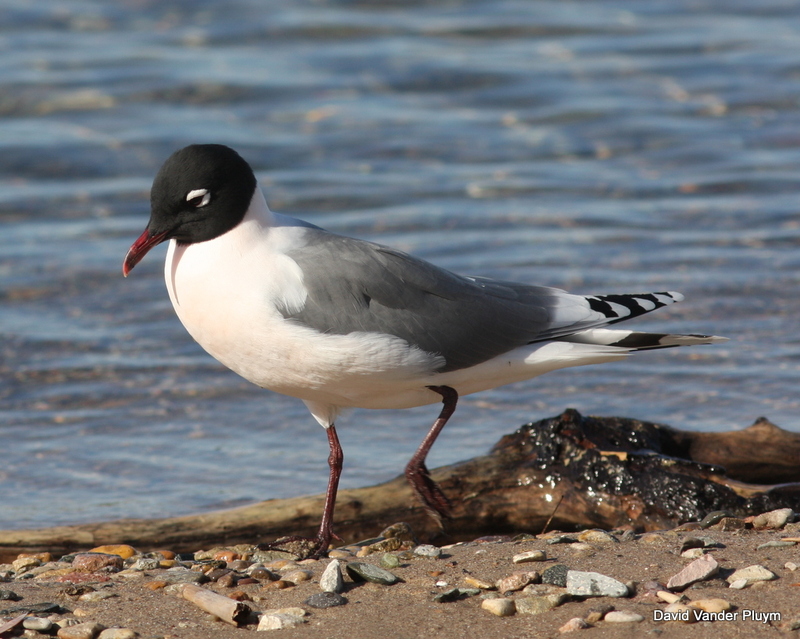 This entry was posted in Identification, Lake Havasu, LCRV, Migration, Molt, Species Profiles and tagged Franklin's Gull, LCRV. Bookmark the permalink. Sharp shots David. Looking forward to the reports of these birds coming in a few weeks from now, or finding an original!